These three clocks are made from old records I picked up at a flea market. 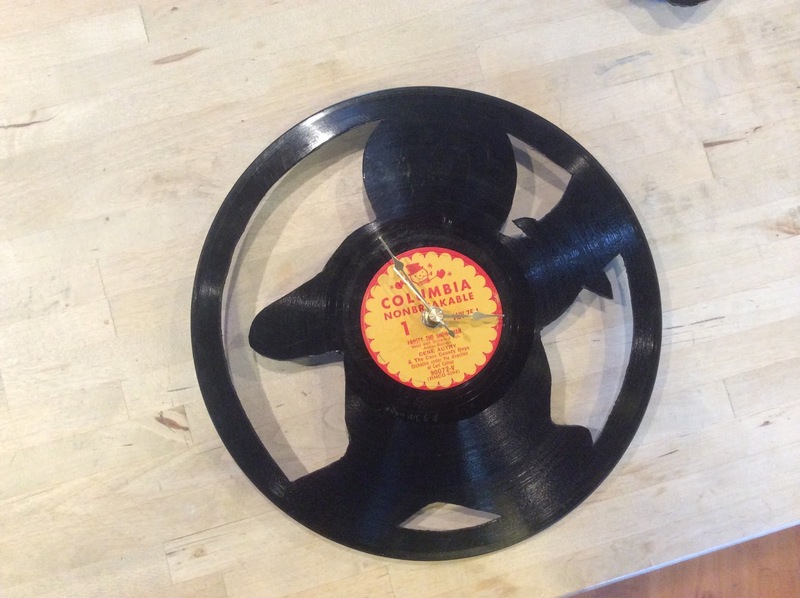 The shape of the clock matches the song on the record. The Santa Clock song is "Santa, Santa, Santa." 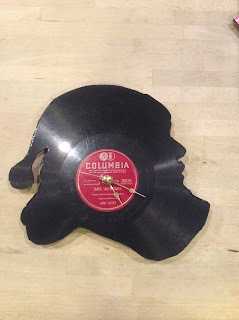 The Snowman Clock is Gene Autry's "tFroste Snowman." 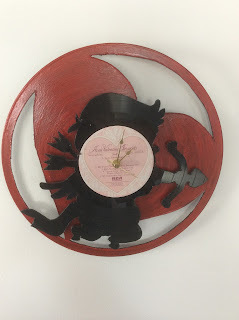 And, the Cupid Clock is "Avon Valentine Favorites," yes that Avon. They were made by hand, using a hot knife, similar to an exacto knife but plugs in and heats up. People often think I just used a jigsaw but that would have torn the records up, they are far too brittle for that. I also often get questions about the value of the records. Some are scratched or already damaged, and even those that aren't really aren't worth that much.